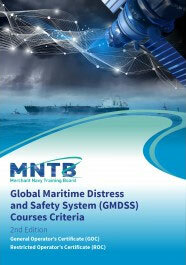 This publication provides the criteria for the development of courses to deliver training for the certification of GMDSS radio operators. These criteria have been developed to deliver education and training covering radio- communications at the operational level to meet the regulatory requirements of Table A-IV/2 of the Annex to the International Convention on Standards of Training, Certification and Watchkeeping for Seafarers (STCW), 1978, as amended, hereafter referred to as STCW. They also cover the current mandatory requirements of the European Radio Communications Committee Decision on the harmonised examination syllabi for the General Operator’s Certificate (GOC) and the Restricted Operators Certificate (ROC), plus the requirements of the EU Conference of Postal and Telecommunications Administrations (CEPT).